Lymphoma is a term that refers to a type of cancer that originates in the body’s lymphatic tissues. These include the lymph nodes, lymph vessels, the thymus, the spleen, the tonsils, the adenoids, and bone marrow. 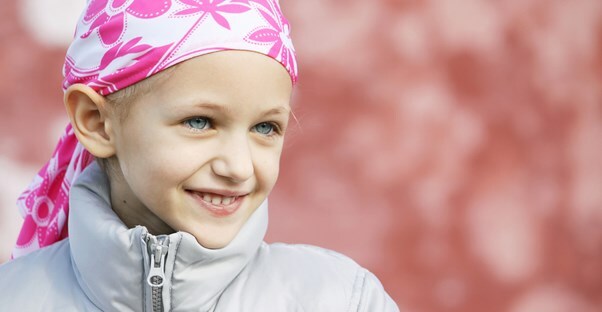 Lymphoma is the third most common type of cancer in children, affecting approximately 1,700 kids younger than twenty years old each year in the United States. There are two broad categories of lymphoma, which are characterized by the appearance of the malignant cells. These include Hodgkin’s lymphoma and Non-Hodgkin’s lymphoma. Hodgkin’s lymphoma is the least common type, affecting about 3 out of every 100,000 Americans. It is defined by the presence of Reed-Sternberg cells, which are a specific type of cancerous cell, in the lymphatic tissue. Non-Hodgkin’s lymphoma is much more common, with about 500 new cases diagnosed in children each year. This type of lymphoma is defined by the presence of lymphocytes, which are a type of white blood cell that collects in the lymph nodes. Sometimes it is hard to distinguish Non-Hodgkin’s lymphoma from leukemia in children, since malignant growth of lymphocytes is also common in certain types of the condition. After a physical exam and a completed medical history, if the doctor finds that your child has an enlarged lymph node, he will likely first just watch the lymph node closely to see if it continues to grow. The gland could be infected by bacteria, so antibiotics may be prescribed to see if this helps initially. Additionally, blood tests may be ordered to check for other types of infection. If the lymph node remains enlarged, then a biopsy of the lymph node will be the next step. This includes the removal and examination of a part of the lymph node to determine a definitive diagnosis. If it is confirmed that your child has lymphoma, then additional tests will be performed in order to determine the type of lymphoma as well as the stage of the disease. Lymphomas are classified in four different stages, and they are defined by how much the cancer has spread and how many organs the lymphoma is affecting. This will be helpful when the doctor is trying to come up with a treatment plan for your child. Once the stage and type of lymphoma has been determined, a course of treatment will be decided. This will likely include chemotherapy, radiation, or both. Chemotherapy is the use of highly potent medical drugs to kill cancer cells. This is the primary form of treatment for all types of lymphoma. However, it can have dangerous side effects since it also kills healthy cells in the process. Another treatment option is the use of radiation therapy, which is the use of high-energy x-rays to target tumors, shrink them, and keep the cancer cells from growing.